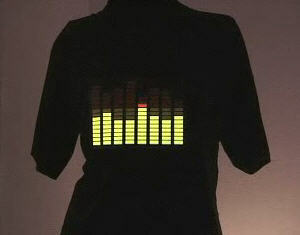 The T-Qualiser is a t-shirt made for clubbing - it has a working graphic equaliser. A:`We don't know! ...the manufacturer... said something about "electro-gobbledi-googescence" and "sound activated power unit..."